The founder of the notorious security company Blackwater is reportedly hired by the crown prince of Abu Dhabi to form a secret mercenary army in the UAE. The billionaire Erik Prince, who relocated to the UAE in 2010 in the wake of mounting legal problems in the United States, received over USD 500 million to organize an 800-member battalion of foreign troops in the Persian Gulf state, the New York Times reported on Saturday. Posing as construction workers, dozens of Colombian men entered the UAE last November and were stationed in an Emirati base called Zayed Military City. The Colombians, along with South African and other foreign troops, are recruited and trained by retired American soldiers and veterans of the German and British special operations units and the French Foreign Legion, the daily said. Documents show the force is intended to conduct special operations missions inside and outside the country, defend oil pipelines and skyscrapers from terrorist attacks, and quell possible uprisings across the state, it added. The UAE is a close ally of the US and officials in the Obama administration said that Washington was informed about the program. “The [Persian] Gulf countries and the UAE in particular, don’t have a lot of military experience. It would make sense if they looked outside their borders for help,” said one Obama administration official. However, legal experts doubt that the project has the US official blessing as the company is already enmeshed with a series of scandals related to operations in Iraq, Afghanistan. Blackwater, which was later renamed Xe Services, came to spotlight after its forces killed over a dozen civilians and injured many more in Iraq’s capital Baghdad in 2007. 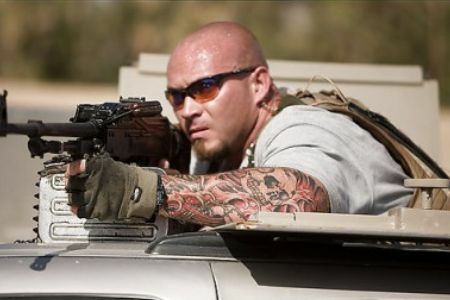 Blackwater mercenaries were hated by the Iraqis as they were able to kill many civilians with impunity.